Acupuncture treatments stimulate specific points of the body through the insertion of very thin needles. Stimulating these points, sometimes known as meridian points, is thought to set off a reaction starting with sensory receptors, which then stimulate nerves that signal messages to the hypothalamic-pituitary system. From a Western perspective, acupuncture is seen to work by increasing blood flow and stimulating the body’s natural pain-reducing response. According to traditional Chinese medicine, acupuncture works by addressing and balancing the body’s natural meridian systems, a series of systems through which energy, or Qi, flow. However, acupuncture is not just about putting in some needles. An essential part of acupuncture in the Chinese medicine tradition is approaching the body with a holistic approach. A good acupuncturist will perform a thorough assessment of their patient before beginning treatment, looking at all symptoms experienced, medical history, diet, and lifestyle to get a complete picture of their body. Acupuncture treatments are often performed in conjunction with other treatment modalities like herbal therapy, nutritional counseling, and sometimes cupping. Despite involving needles, acupuncture is usually fairly pain-free. The needles used in acupuncture are extremely thin — they are several times smaller than the hypodermic needles most people are used to encountering in Western medicine. Most patients experience no pain during treatment, and it is common for patients to be so relaxed that they even fall asleep while their needles are in. What kinds of conditions can acupuncture help with? Acupuncture has been shown to be effective for an increasing list of health conditions. Reputable international health experts, including the World Health Organization, have declared acupuncture to be an effective treatment for a wide and growing list of health concerns, including nausea, low back pain, sciatica, neck pain, knee pain, morning sickness, induction of labor, and depression. Common reasons for seeking acupuncture treatment include chronic pain, digestive issues, fertility or hormonal issues, and psychological or emotional health concerns. While most acupuncturists can treat a wide range of conditions, many acupuncturists choose a specialized area in which they are particularly skilled. Here at Healing with Zen Pasadena, we are experienced in treating a vast array of conditions and have acupuncturists specializing in both chronic pain and women’s health issues, including PMS, fertility, and pregnancy support. When performed by an accredited professional, acupuncture is a safe treatment with very few side effects and offers an excellent alternative to potentially addictive or side effects of heavy medications. 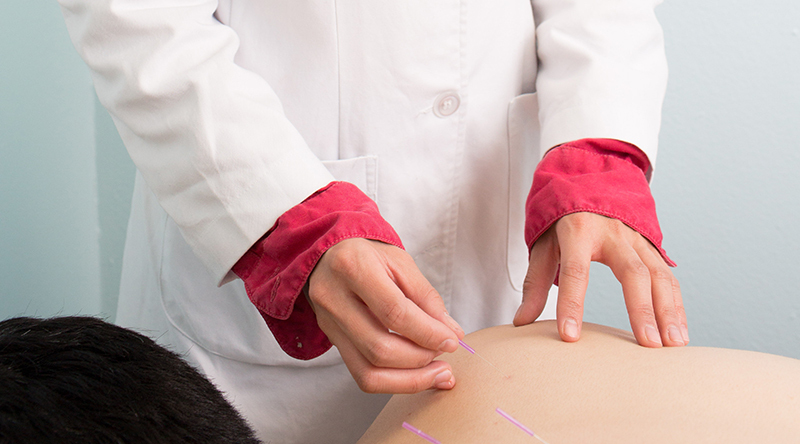 In a good practitioner’s office, acupuncture needles are sterile and used only once before being safely disposed to prevent any infection or contamination. It is important that you seek acupuncture from a skilled, experienced, and licensed acupuncturist to ensure you are receiving safe and proper treatment. In the United States, acupuncturists are usually licensed through the state in which they practice. Licensed acupuncturists go through a rigorous four-year graduate program in which they learn aspects of both Chinese and Western medicine. They then have to pass the state and national exams, and often undergo an internship process before practicing. Now that you know what acupuncture does and how it works, start the journey to better health by reaching out to your local acupuncturist. You can click here to reserve an appointment space with one of our licensed acupuncturists and herbalists. Here at Healing with Zen Pasadena, we have lots of experiencing helping patients find relief from a wide range of concerns, including chronic pain, fertility and women’s health, and digestive issues.